A cleverly designed Detachable Storage Bunk Bed that splits into 2 Single Beds with new rounded features including deep ladder with ergonomic designed treads to make it easier for your child to climb up and down. 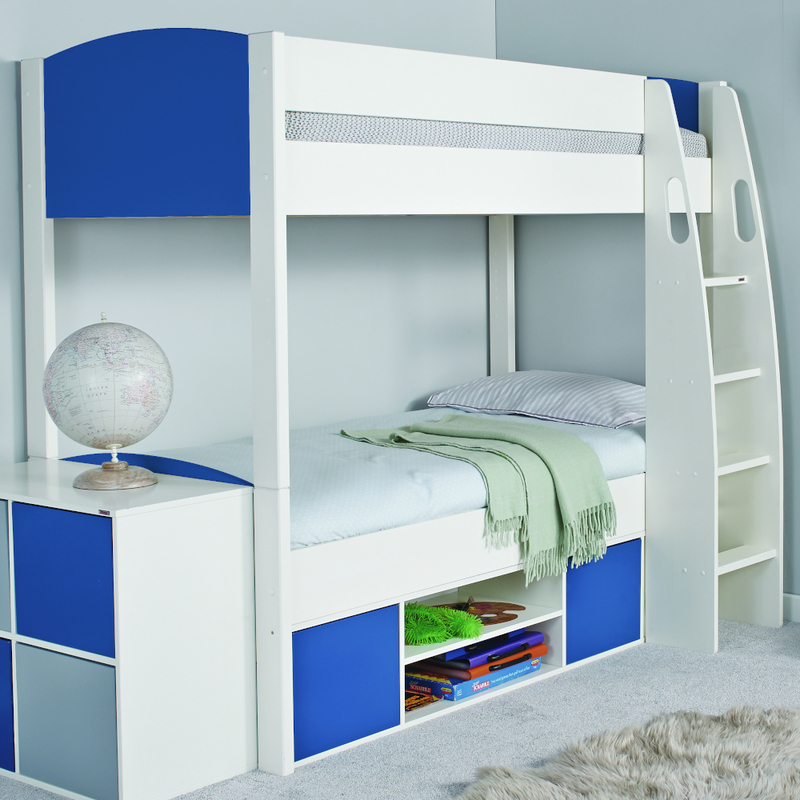 This sturdy Bunk Bed has storage compartments as well as space for 2 children to sleep . Why not add our new push-to-open doors in choice of 5 colours to complete the look. Includes Uno S Storage Bunk Bed. 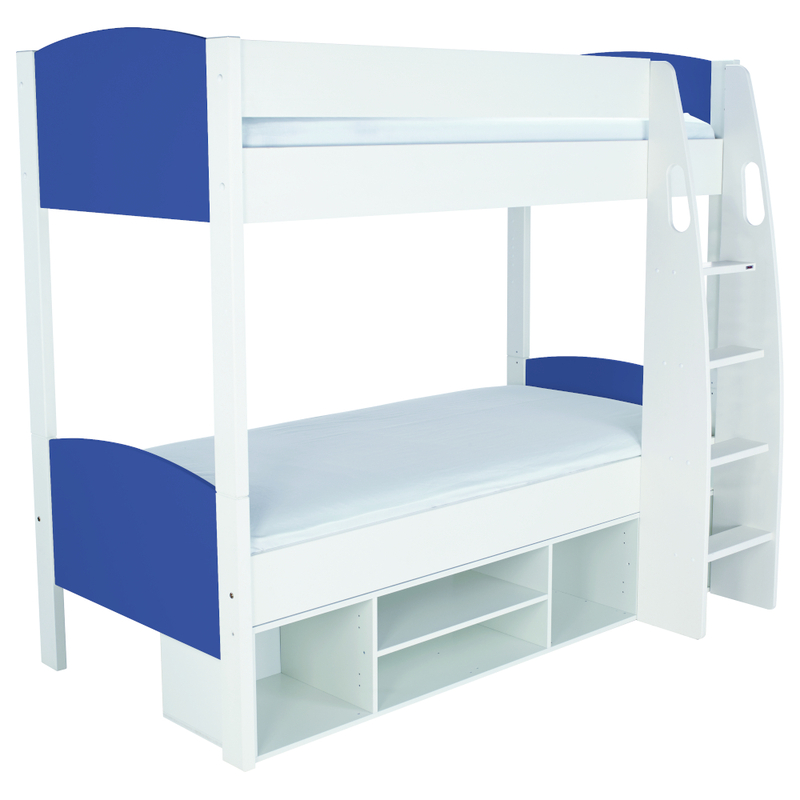 Bunk Bed Frame including Underbed Storage Unit. Size of Storage Bunk Bed H1662xW1222xL2082mm. Splits into 2 single beds. New push-to-open door fittings to replace conventional handles on the Underbed Storage Unit sold separately. White lacquered finish with blue rounded feature headboard.